4 x blissful head to toe pampering packages to choose from at our luxury friendly Day Spa. * Special Gift Vouchers Available. This is a complete 'Head to Toe Revival Treatment'. Get ready to be pampered from head to toe with this relaxing revival package for body-mind-soul. After you receive this magical treat, you can expect to leave feeling with a wealth of inner calm and peacefulness; enhanced radiance, vitality, balance, rejuvenation and inner bliss. This Pure Bliss Treat begins with a Dry Skin Exfoliation and then followed with a beautiful Organic Lemon Sea Salt Exfoliation. This will remove the dry skin cells and stimulate the lymphatic and blood system in the removal of toxins held just below the skins surface. Next Your therapist will use a Relaxing Massage Pulsing Technique over the towel to relax the entire body. During this technique the therapist will establish the kind of massage techniques and pressure that best suits your body type for maximum relaxation, rejunvenating, muscle release, healing and body balancing benefits that will last long after your treatment. Now we start your Aromatherapy Massage on skin, which begins with warmed organic oils and essences perfect for your body type and treatment intention. In addition your therapist will use Hot Stone Therapy to deeply soften and relax any tension in muscle with the releasing heat of the stones. The hot stones become a extension of the therapist hands. * All our clients love this addition of the stones. Your massage on request can include extra Reflexology for the feet or Indian Head Massage for the scalpt. 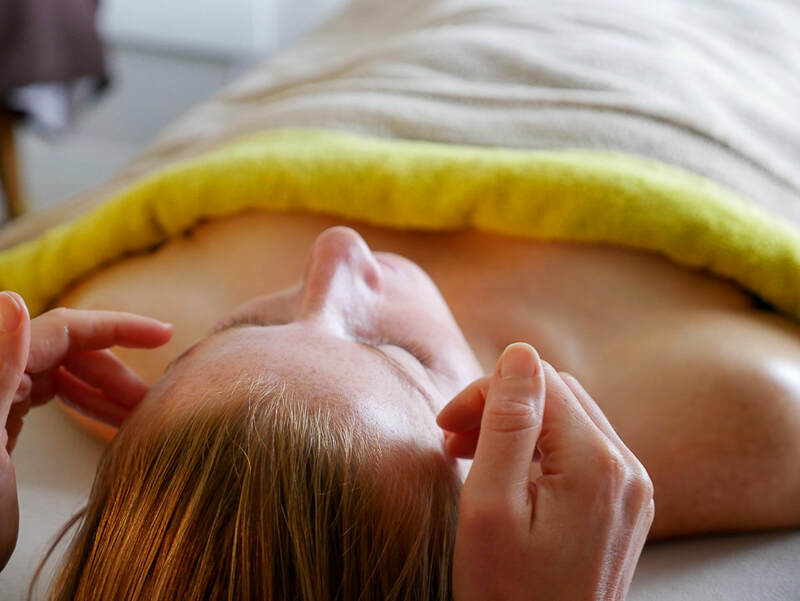 Once our deeply hydrating and rejuvenating facial mask is applied, you will float into another world with our pure indulgence, relaxing scalpt, head, arm and hand massage. Then to top this revival experience off to a wonderful finish as you sit and enjoy a refreshing glass of alkalising water, you will get a selection of Home Made Chocolates that are both deliciously creamy and amazingly healthy, containing vital minerals like magnesium, iron and zinc which are important for relaxing muscles. NOTE: For those more interested in the massage, you can simple let the therapist know and she will extend your massage. You can extend it with Reflexology or/& Indian Head Massage. You can also choose to continue your indulgence treatment with relaxing Aromatherapy, Hot Stones or deep tissue massage. The choice is yours. We advise all our clients to drink plenty of water pre and post treatment to support maximum benefits for the detoxing effects and sustainable well-being of the body long after you leave us. Allow 2.5 Hours $320 1 person. One of our most popular head to toe luxury, pampering and holistic treats for the body and face using quality organic products. Not interested in a Facial, you can extent the massage with Hot Stones, Reflexology or/& Indian Head Massage. This divine pampering, BLISS treatment begins with a Massage Pulsing Technique over the towel to relax the entire body. During this technique the therapist will establish the kind of massage techniques and pressure that best suits your body type for maximum relaxation, rejunvenating, muscle release and body balancing benefits that will last long after your treatment. Next your Aromatherapy Massage on skin begins with warmed healing oils and essences perfect for your body type and treatment intention. In addition your therapist will use HOT STONES THERAPY to deeply soften and relax any tension in muscle with the releasing heat of the stones. The hot stones become a extention of the therapist hands. * All our clients love this addition of the stones. Your massage on request can include some extra Reflexology for the feet or Indian Head Massage for the scalpt. Once your massage is complete it is followed by our VITALITY FACIAL with EYE TREATMENT and LYMPATHIC DRAINAGE MASSAGE. Once your organic facial mask is applied your therapist will give you a relaxing scalpt, head, arm and hand massage. For those of you more interested in the massage, you can simple let the therapist know and she will extend your massage. You can extend it with Reflexology or / & Indian Head Massage. You can also choose to continue with relaxing Aromatherapy, Hot Stones or deep tissue massage. The choice is yours. Starting off with a relaxing aroma essence soak in our large luxruious tub with candellite surround, beautiful music and a glass of Yummy Health Wine / juice. 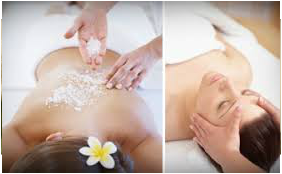 After that indulge your senses in an AROMA-BLISS MASSAGE (flowing, relaxing with firm pressure exactly where you need it using essential oils that uplifts and transforms the body and mind into a feeling of perfect harmony & pure bliss) coupled with HOT STONE THERAPY..allow 2 hours. Next you will lounge over a delicious glass of Body Balance; a health and remineralizing juice followed by a Total Health Shake served with Delicious Nibbles & Mountain Views. Its not over yet as we invite you back into the massage room for our ABSOLUTE BLISS VITALITY FACIAL that is deeply cleansing, hydrating & rejuvenating. We add a special eye treatment with lymphatic drainage massage (this is a extra naturally face lift treat...no need for chemicals). Our Facial's are perfect for both the gals & guys. We use only organic natural products of highest quality suitable for all skin types. 1/2 day BOOKING SLOTS : 9.30AM OR 1.30PM with 30min flexibility time if required. Body Bliss 5 Hr pamper package. This Package includes everything in the Devine Bliss Package plus our Detox doTerra Body Wrap called Slim & Sassy. While in the wrap a detox facial mask is applied after a cleanse and exfoliation. Book 2 people in together for $999. *** True Beauty FULL DAY ~ Pampering Detox Retreat Day. 1 hr of Gentle progressive yoga and guided relaxation techniques to awaken, restore and center body & Mind in peace and calm while supporting the deeper body cleanse and detox intention for the day. Perfect for beginners or more practiced Yogis and Yoginis. 4-5 hours of Day Spa Pampering Treatments that will Relax, Cleanse, Detox, Hydrate and enhance all over skin tone and beauty from Head to toe. Expect our individually tailored massage to be a blissful fusion of relaxation and firmer pressure perfect for your body type and preference. All our products are organic, natural and of the highest quality to serve your highest well-being from the inner to outer and outer to inner experience. Expect to sparkle with a fresh glow of relaxed enthusiasm and revived inspiration when you depart. Over all energy enhancement & total body rejuvenation.